Shirarahama Beach is Onsen and a white sand beach of Shirahama, Wakayama Prefecture. 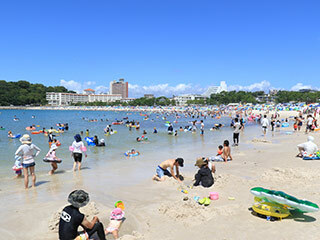 It is chosen as one of the 100 best beach sides of Japan. It is a tropical resort in Japan. The width of the beach is about 620m wide. It has foot Onsen all through the year.